SMG Studio’s Thumb Drift delivers what it promises in the title. 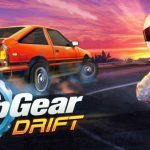 This is a fantastic new game that’s been released only for iOS as of this writing, and one thing that might catch your eye in the game’s description is that it’s been cited by two familiar names in the automotive world – rally driver Ken Block and Top Gear’s Jeremy Clarkson. (Well, Clarkson did say he “wants nothing to do with this game.”) But did those two really contact SMG Studio with those comments? 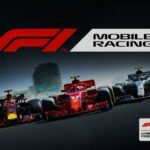 We don’t really know, but the game does come with “over 50 fully unlicensed cars” with more to come, “addictive” drifting gameplay, and its main selling point, one-thumb controls that are supposedly among the simplest in the mobile drifting game space. Drifting is fun, but it can also be challenging, and in many cases, frustrating. So if you’re a newbie drifter who’s playing this game for the first time, or someone who’s been playing for a while but wants to get better, be sure to read on for our exclusive Thumb Drift strategy guide. The game’s mechanics work as follows – new levels are unlocked if you’re able to drive, or should we say drift, so many yards. One of the first examples you’ll see would be Forest Road, which gets unlocked once you’ve reached 2,000 yards in Gymkhana, which is the opening stage. Gameplay per level differs, as each of these levels is designed with their own unique features. The aforementioned Forest Road stands out, for instance, because you’ll be able to drift on the grass without losing any speed. When drifting in Thumb Drift, the same rule in other drifting games applies – try to follow a straight line as much as possible. Negotiating tough curves is another story, as you may want to avoid following the center, instead trying to come as close as possible to drifting straight. Keep your turns subtle and gentle, with your main goal being to survive those turns in as straight a position as possible. Again, we should reinforce what we told you in the latter part of the above tip. You want to make your movements smaller rather than larger and more dramatic; if you’ve got good control of your swiping finger, you’ll typically have good control of your car. More dramatic motions will often leave you spinning out of control; if there’s too much spin, you’ll be swerving and swerving and swerving as you try to get back on track. 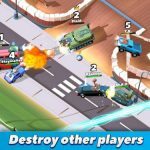 Thumb Drift does encourage social gaming, and one of the ways it does this is by allowing you to hit the Share button after completing a level. That’s going to earn you 100 free coins. But you don’t have to actually share anything in order to get the free coins. Hit the share button, but hit on cancel once the prompt pops up on your screen. That will prevent you from sharing your accomplishments to social media, but you’ll still get 100 free coins as a reward. Not only do you avoid being one of those annoying gamers who feels the need to share all their accomplishments, you also get lots of free coins with little effort at all. 5. Should You Watch Ad Videos? You will be given a chance to double your coins earned in a level by watching an ad video after that level. But the catch here is that you really won’t earn a lot of money in most cases. Instead, you should focus on trying to collect as many coins as possible per level, so that way you can make those ad videos worth it. It’s a bit of a disappointment, considering what we’re used to in these kinds of games, but for what it’s worth, it’s better than nothing at all. While it’s a good idea to go for the coins and try to make watching those ad videos a worthy endeavor, going too much for the coins isn’t too prudent. If you’ve got a choice between going for coins and having a smooth drift in a tight turn, you want to focus on the smooth side of things. Your coins, in case you’re wondering, will be used to buy cars, but if you come to think of it, the game does award free cars every few hours. If you’re a beginner, you may even want to forego the coins and focus solely on drifting. But what about those cars? Should you switch from one car to another for whatever reason? 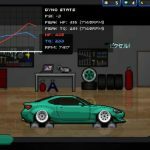 Most driving, racing, or drifting games come with various cars that all have their own unique stats and characteristics. Based on what we’ve observed, everything feels very similar on Thumb Drift. Performance and slip levels tend to be very, very samey, but if it’s any consolation, the cars do obviously look different. And if there’s a clear edge in performance for some of these vehicles, it’s that the smaller cars are smaller targets, thus making it easier for you to drift. Once again, we should stress that each of the levels in this game are unique. They have their own features that set them apart from each other. For example, let’s take the opening level Gymkhana. No matter how often you play this level, it will always look the same, with the same turns, the same everything. In fact, it’s so easy you’ll be able to memorize it in just a few runs. The other levels may need a little (or a lot) more practice, but that’s all necessary if you want to memorize all the game’s levels. Some sources suggest that chasing after coins is foolhardy when you can just try to complete the missions. At the start of each run, you’ll see a mission, which require you to achieve certain things, such as collecting so many coins or drifting so many yards. As a successfully completed mission earns you 50 coins, you’ll want to try ‘em out at some point.